Many aging women suffer from unflattering, under eye wrinkles that put a damper on their natural beauty and appearance. As the skin ages, collagen levels are reduced, and the skin gradually loses its elasticity. Certain genetic factors can also make one prone to early wrinkle development. There are numerous other causes for wrinkled skin as well. For example, excessive exposure to ultraviolet rays can make one more susceptible to the damaging, deleterious effects of the sun. While sunlight is essential for health, the application of sunscreen can spare one the horrors of a rapid aging process. Facial expressions can also make one more subject to wrinkled skin. When you smile, frown, or squint frequently, you develop fine lines earlier than those who do not. The Revitol Eye Cream is scientifically produced in a manner that reduces dark circles, wrinkles and under eye inflammation. 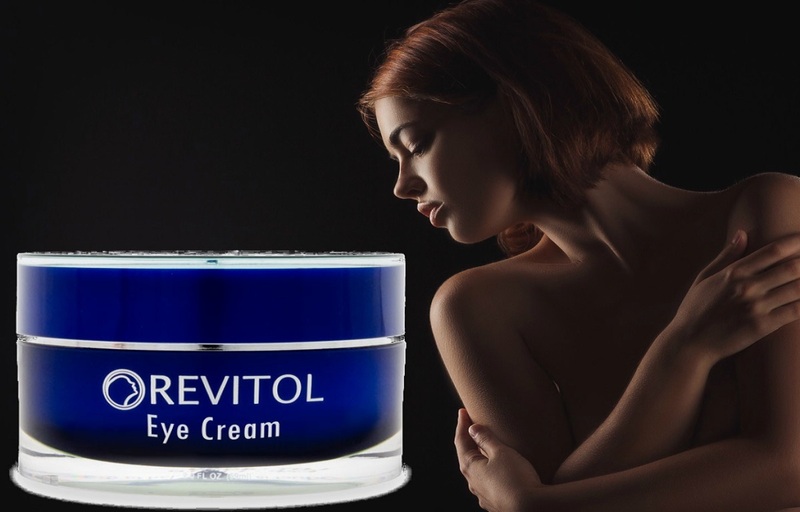 Revitol Eye cream consists of a natural, unique fusion of both Vitamin B and Chamomile, both of which revitalize, tone, hydrate and moisturize the skin. Furthermore, this product is specifically formulated to encourage greater collagen reproduction. Its components are non-greasy and specifically formulated to enhance the elasticity, and hydration of your skin. Its fusion of various herbs can reduce the appearance of many conditions that afflict the sensitive, under eye area. This product undoubtedly contend with the effects of aging by both reversing them, and tightening the skin. Who says that aging has to be an imminent, unstoppable process? Niacinamide: This is a water-soluble B-vitamin complex that assists the skin with moisture retention. Niacinamide also has antioxidant and anti-inflammatory properties, a plus when it comes to reducing puffiness around or under the eyes. Bisabolol: Derived from the chamomile plant, bisabolol acts as an anti-inflammatory agent as well, lessening puffiness while soothing the skin as well. Fraxinus Excelsior (Bark Extract): Though it may sound a little unorthodox, ash tree bark actually contains two powerful ingredients–esculin and fraxin–that help to strengthen and reinforce blood capillaries. This ingredient contributes towards reducing the appearance of dark circles. Chrysin: A natural flavonoid derived from certain passion flowers. Its main role is to break down hemoglobin, which in turn reduces the appearance of dark circles, puffiness and/or swelling around the eyes. N-Hydroxysuccinimide: A fat compound that alters the pigmentation factor of the skin. This wonder-working ingredient helps to smooth out color discrepancies, thus giving the skin under your eyes a more even appearance, reducing the “raccoon look” (a.k.a. dark circles) in the process. All the ingredients play a vital role in enabling Revitol Eye Cream to “do its magic”. Although many of the names of the ingredients are hard to pronounce and appear to be synthetic, they are primarily derived from various natural peptides and plant oils. This fact alone can give you the assurance that you can safely use Revitol Eye Cream without worrying about potential toxicity problems or harmful side effects. These powerful ingredients all work together to help eliminate the appearance of dark circles and puffiness under your eyes, thus giving you the youthful, vibrant look you’ve been wanting. So worry not about any allergic reactions! One of the best things about Revitol Eye Cream is that it’s made of all natural ingredients which means it’s all safe! It’s proven to work and great reviews. It’s relatively inexpensive. The cream may cost money, but when you compare it to other treatments in the market and the benefits you can gain from it, it’s easy to see that you are getting your money’s worth and then some. It has all-natural active ingredients. This is a big plus since natural ingredients can seldom produce any side-effects. 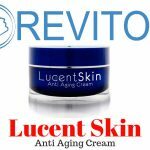 Revitol Eye Cream is designed to provide solutions for under eye dark circle and puffy eye bags, and there are only a few other beauty creams in the market right now that addresses that kind of a specific problem. It’s non-greasy! The cream is designed not to be greasy and it can pass through your skin easily. These features help speed up the effects of the treatment. You get full guarantee! You can rest your worries when using the product as the company is confident that it is 100% safe and effective that they backed it with a money-back guarantee. If ever you are not satisfied with the result, you can always ask for a refund. There is not much rocket science behind how to use this product, so all you have to do in order to gain the best results is to use it around the under eye area and it quickly absorbs into the skin. Use it regularly and you’ll be able to see results in no time! It is not easy to find eye creams that address dark circles and puffiness but the manufacturers claim that it does. We have tried the Revitol Eye Cream and we can happily say that this product worked beyond expectations! It really does smooth away your under eye area and brightens it up. Also, they have great offers on their website too that you can avail!